Galveston is a popular cruise homeport and is a departure port for several cruise lines. This area of the website is where you can find my Galveston cruise advice and tips. Check out my new post on Carnival's Bottomless Bubbles soda and juice package. This post will contain tips for calculating whether the program is worth it for you as well as some general information about the beverage program. Carnival's 2020 ship, the Mardi Gras, will have some new stateroom features and enhacements that will improve the stateroom experience. Check out a few of these new features with commentary about some of the changes from RyG's Cruise Guide. Royal Caribbean will be sending the Adventure of the Seas to Galveston in November 2020. The ship will sail 4 & 5 night cruises. For more information about this ship deployment from Galveston check out this post. Test your knowledge of Carnival Cruise Line's ships and history. There are currently two quizzes available - an easy version and a hard one for cruisers with advanced knowledge. Check out these just for fun online trivia quizzes! Please like RyG's Cruise Guide on Facebook. I use Facebook to share a variety of cruise tips, blog posts, and pictures that relate to multiple cruise topics. ​Unfortunately, there are no names submitted for April. However, I wish everyone cruising a great cruise vacation! In the event your name was accidentally left of this list, please contact us immediately by clicking here. 2019 Cruisers: Be A Part Of This In The Future!! Tell us when you are cruising this year and we will publish your name when your month of cruising comes. You can have your name posted here for FREE. These people have submitted their name by filling out the form on this page. Alaska is a popular cruise destination because of its scenic sights, wildlife, and itineraries. Check out RyG's Cruise Guide's Alaska cruise tips, advice, and information. A self-guided cruise ship tour can help familiarize a cruiser with a cruise ship's main public areas, general layout, and decks. Check out the ships I have currently created self-guided tours for! 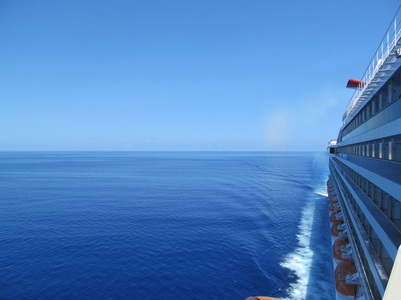 I love cruising and want to share my experiences with you! During my cruises I take as many pictures as possible and then publish them here along with a written review. Also, check out our cruise reviews section for guest reviews from one of my family members! Between the two of us, there are cruise reviews for different cruise lines, ships, ports of call, and cruise experiences!